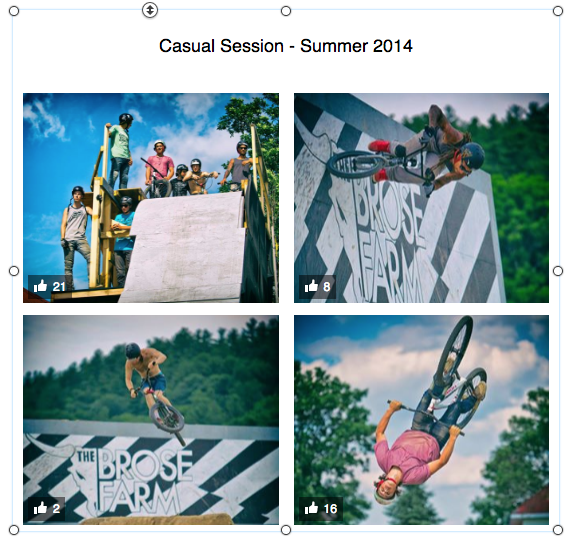 Embed Social offers an easy way to embed a Facebook photo gallery into your PageCloud site. Head to your Embed Social and create the gallery you'd like to embed. Copy the embed code Embed Social provides. Head over to your PageCloud site where you'd like the gallery to appear. See screen shot below for an example. Click Save and View Live to see your Embed Social Facebook Gallery in Action! EmbedSocial offers a special discount code for PageCloud subscribers! Use pagecloud at checkout to get 50% off your first 6 months.